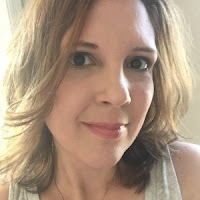 It is almost time to gear up for another school (or homeschool) year! 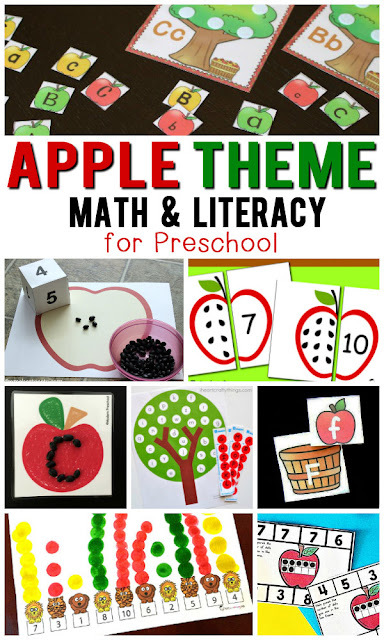 This is the time of year that I bring out all of my apple-themed activities for tots and preschoolers. 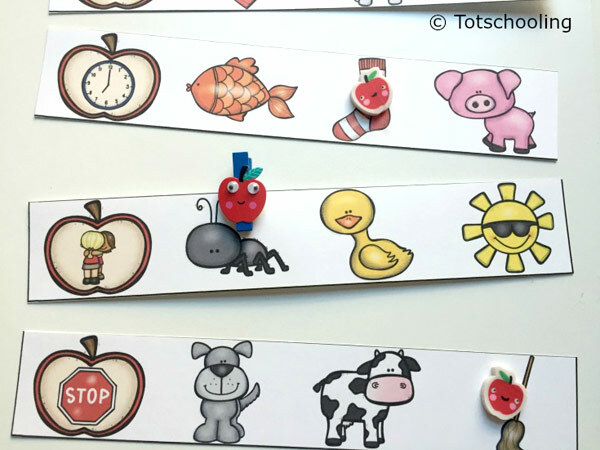 These apple-themed rhyming strips will help your preschool and kindergarten children practice rhyming words. They'll work on fine motor skills, as well, as they clip each correct answer. This activity is perfect for your back to school, autumn, and apple-themed homeschool preschool activities. This low prep literacy pack is perfect for introducing and reinforcing rhyming words to your preschoolers. All you need to do to get started is print the pages on cardstock and laminate for durability. Cut the strips apart (3 per page), and you're all set. In this rhyming words game, you'll find thirty clip strips. Each strip features a focus word. This focus word is displayed inside an image of an apple. Have children say the name of each picture aloud. After doing so, have them pick the word that rhymes with the one featured in the apple. To denote the correct answer, kids can clip the image with a paperclip or clothespin. If you don't have any of those on hand, they can use a counter or mini-eraser to mark the answer. You can make this activity self-checking by placing a small sticker on the back of the correct answer. This allows children to turn the card over to see if they've placed the clothespin on or near the sticker. If so, they've answered correctly. If not, have them try again. 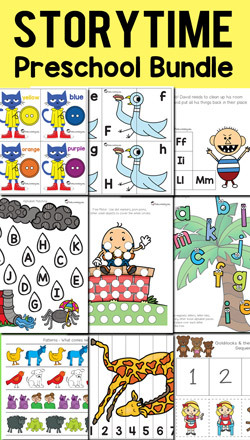 You may want to introduce a few rhyming strips at a time for beginners. This will help them not be overwhelmed by all of the cards. Once they've mastered 5-7 cards, add new strips to the pack. 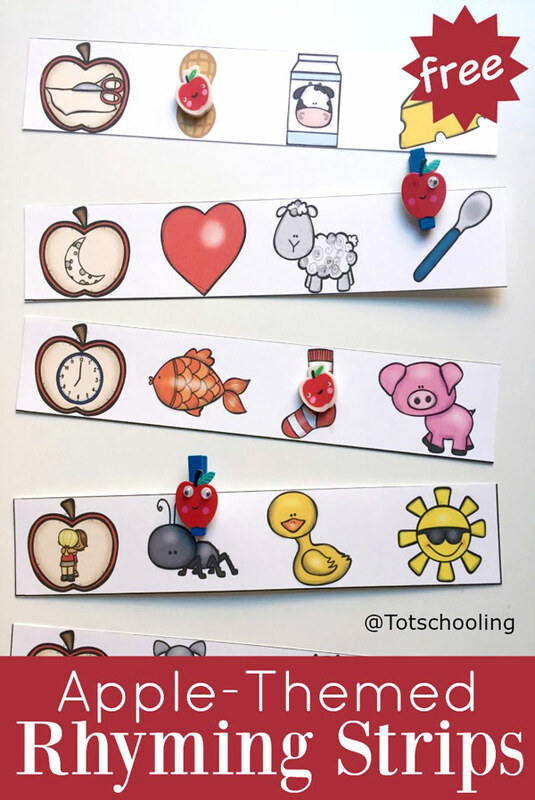 This activity makes a great busy bag activity if you slide the strips and some paperclips into a pencil puch for portability.